Sometimes something as simple as a new lip color or a fresh approach to your makeup routine can add a pep to your step and make you feel like a million bucks. Today I’m sharing a few of my most recent beauty obsessions in case it gives you that spark of something extra to finish out these last weeks of summer. 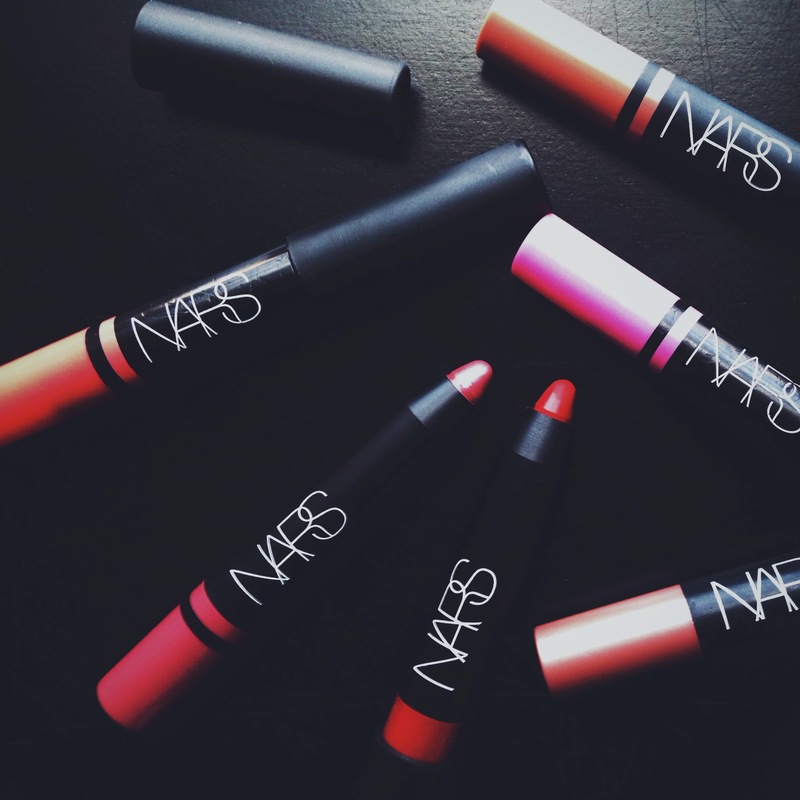 I have accrued quite the collection of NARS lipstick pencils because THEY ARE THE BOMB. The pigment is spot on perfection and the color you see is the color you get when you put it on. It doesn’t bleed after you apply and wears really well for a long time. As it (eventually) fades I find it looks just as amazing to apply light or clear gloss for a fresh pout. Lastly, they blend really well with other colors to play up/down the drama. Who doesn’t love having pretty nails?! While a fresh mani can make you feel like a million bucks it can also start to add up to a million bucks if you get them on the reg. But really, who actually spends the time to home manicure…it can be so frustrating with lots of smudging and swear words. We’ve all been there. Enter my new saving grace, Sephora’s Sheer Strength Nail Polish. This polish is virtually impossible to mess up. I take about 4 minutes to cut my nails, push my cuticles back and paint on two coats without waiting for them to dry in between. The sheerness is forgiving of any mistakes and my nails look like I just stepped out of a salon. NEW FAVORITE PRODUCT! 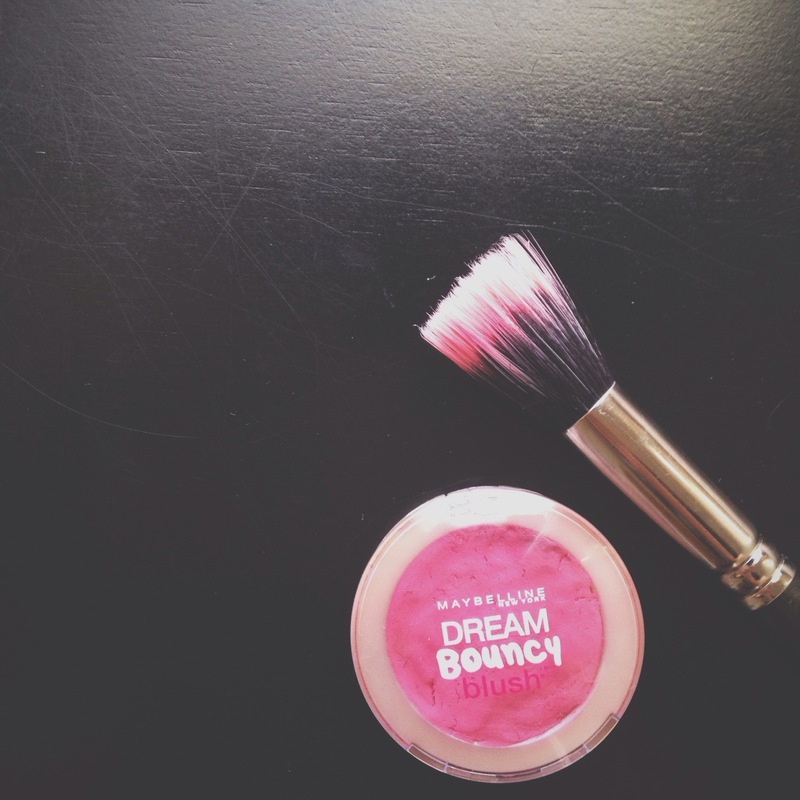 One of my best beauty discoveries of the year has been this Maybelline Dream Bouncy Blush. Remember this trip to visit the Queen? Well, in the frenzy of the surprise trip my makeup was left behind. Vegas is not a place to go light on the face so to the drugstore I went. I reached for this at the store because it was inexpensive and I figured I would toss it after the trip but ended up loving it so much that I never went back to my old blush. It looks really bright but goes on light and gives such a soft touch of color with a fresh faced and dewier look than any other blush I have tried. I especially like that it stays on! I am pretty pale and if my blush fades I can start to look scary, but this stays on all day and never looks like too much. Definitely worth a try. If you are interested in any of these you can buy them HERE, HERE and HERE.